A New Valve. A New Sound. What would happen if you combined the best aspects of both pistons and rotors in one valve? Pistons have a direct stroke and a great feel in the hand. There is no change of motion in any type of linkage system, and maintenance is quite simple. Rotors have extremely uniform windways inside. They are great for all types of music, including legato passages, and valved notes tend to play as well as open tones. Building upon these great characteristics, the MAW Valve goes one step further. Many prior pistons, compromised by manufacturing irregularities (bumps) in the windways, are inherently distortive. Bumps alter sound waves. 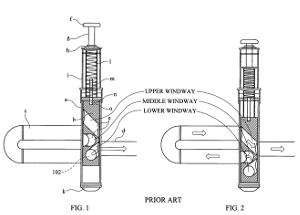 To avoid this, the MAW Valve opens the middle windway to create a smooth rotor-like passage. Both of the windways above and below this middle passage are now smooth and round inside the MAW Valve. 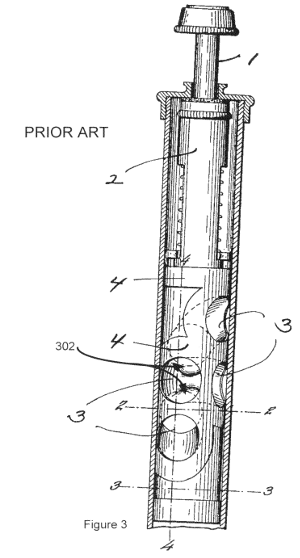 The geometry of the patented MAW Valve advances the playing characteristics of a horn. 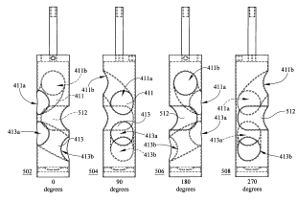 With the MAW Valve, sound waves traveling through the instrument are less disrupted. Playing is easier. There is a fuller sound with less effort. Notes tend to be more stable with increased clarity. The MAW valve combines the best qualities of pistons and rotors. The MAW Valve is ready for you to try. 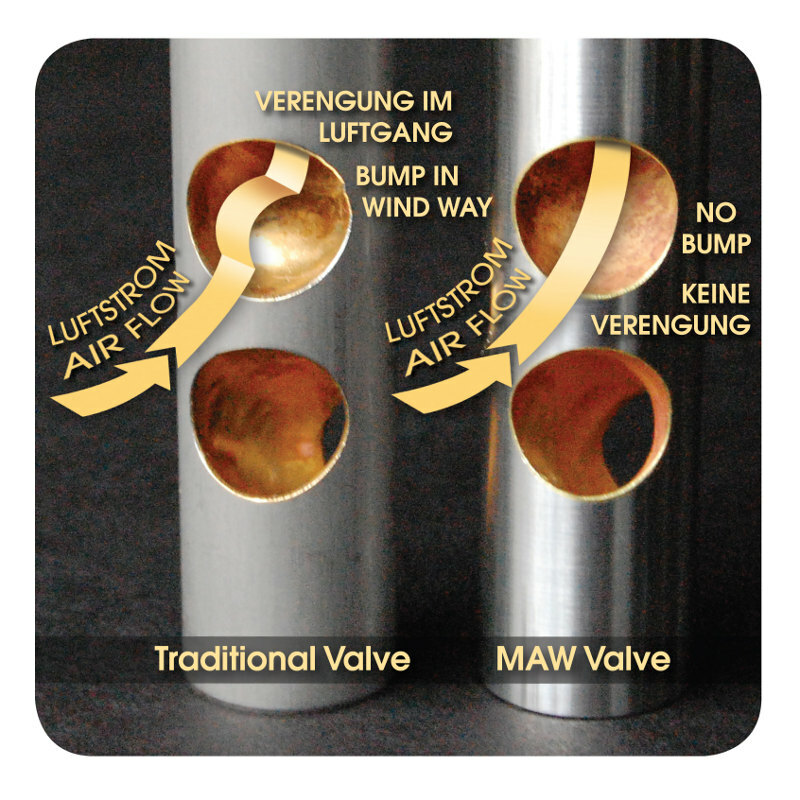 The replacement MAW Valve is designed for quick and easy transition. A set of MAW Valves will fit certain common configurations and sizes of tubas and trumpets, often with no lapping or other adjustments necessary. To find out if the MAW Valve will fit your horn, contact us or call 812-364-6421. And please stop by to try the valves for yourself! To purchase a set of MAW Valves, contact us or call 812-364-6421. 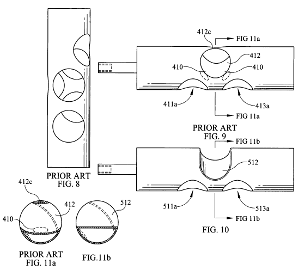 For more information about the MAW Valve, US Patent 8227677, visit http://www.google.com/patents/US8227677. I love your MAW valves. Since we last talked, I have played quite a bit of repertoire on the tuba, particularly Mahler 6 (plus on tour in Europe). There is a huge difference. It is actually a rather inexpensive modification for the results you get.